Would you like to know the real secret of growth hacking and what you should do to use it in your business? In this post we will summarize the five key issues you should ask yourself when you want your business to grow exponentially . 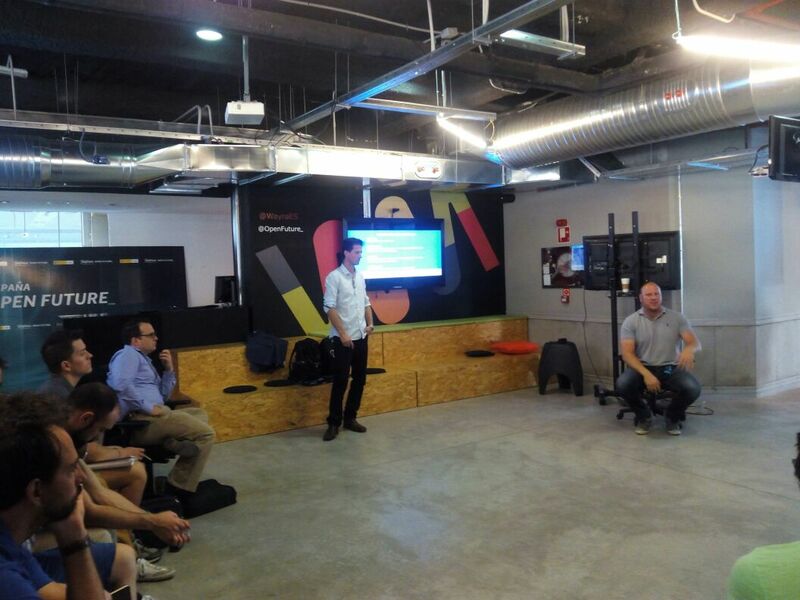 This is a summary of the workshop in which we accompany Casey Armstrong and Patrick Vlaskovits, two of the leaders in growth hacking in the United States last June 6 in Madrid. What you will understand through all the points, but at the end of the post I will explain where the real secret. I leave the 5 key . One of the major problems when it comes to innovation is that usually stay in the “traditional innovation”, ie, that part of our own context. However, to think beyond is necessary to seek ways of disruptive innovation. This article Enrique Dans explained very well the difference between the two types of innovation: incremental versus radical innovation: do you like to drive? Summarize the fundamentals to explain these two ideas. In the automotive sector is very clearly the difference from the first vehicle created has innovated a lot, but the cars still in its conception, the same, that is, are conducted with the steering wheel, with the driver sitting in a seat and powered combustion engine. It has been innovated, therefore, within the same idea or concept. A disruptive innovation is the case of Toyota FV2, driving a car without a steering wheel and body movements. 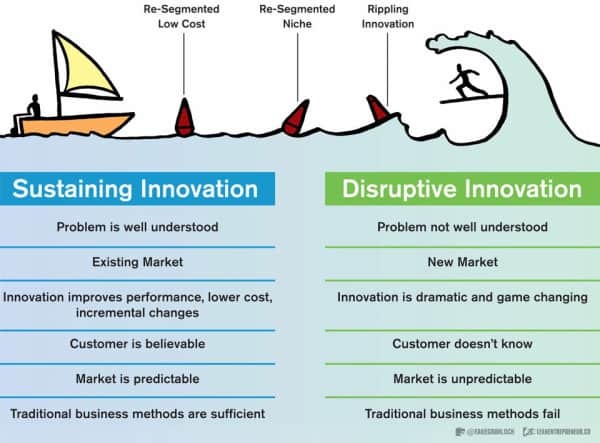 While in traditional innovation well understand what we face in disruptive innovation we enter a new market in which innovation changes the rules , the market is unpredictable and not traditional methods work . That is, if you want to change the way you innovate in your business, you must think in an original way ( out of the box ) and open-minded enough to take very different from those to which we are accustomed rules. One way to achieve this is to realize that the medium is the message . An example: in the 70s are used to sell music through concerts. At that time the band “The Eagles” decided to create music “sound good in the car”, knowing that many people would consume his songs on cassette and in that space (middle).So much so that they had their own car for testing. In the 80s they have to change again, as the average at that time began to be audiovisual due to MTV. Adapt your content to a medium other than usual will allow you to grow exponentially because you can present your proposal in the context of “surprising” and surely appeal to a good portion of your public use. Another aspect to keep in mind when communicate are the six principles of influence of Robert Cialdini . That is, what will make people believe that your content or product worth can be summarized in 6 points. Principle of Reciprocity . If you offer your users valuable content, people will want to “return the favor” and be more receptive when you offer a payment product, for example. Principle Commitment and Constancia . In the case of a blog, publish regularly and not leave. It is a way that your audience know that you are going to deliver content consistently and want to come back to you. Principle of social proof . Social buttons. When many people share a content, that is proof that produces interest. Principle of Authority . Demonstrate your content that you know what you’re talking about. The content should always be quality. Sympathy principle . It is easier to let ourselves be influenced by the people we like it not for one that does not attract us. Principle of Scarcity . When the buyer of a product knows that there are many units, it is more likely to feel the need to not miss this opportunity. One way to go further is to collaborate or partner with other parties who may have a common interest , whether or not of your sector. In this case Patrick put a personal example: when he published his book The Lean Entrepreneur: How visionaries create new products, develop innovative projects and transform markets, which ended up being bestseller in the New York Times, he proposed a collaboration with American Airlines. The proposal made ​​to them was to do a book tour in which American Airlines United States accompany around an author who was to become a celebrity in his field. Note that, in a normal context, an airline probably would not have raised the collaboration with the author of a book on a tour of a country. However, it is again an original proposal in which all earned: Patrick bulged free American Airlines flights while sending a message to a public interest they shared: support to entrepreneurs. It is not to do a full audit of all aspects of SEO you need your website, but what you can do is touch those who will help you optimize what you already have . They are obviously many possibilities offered by the SEO, but sometimes the simplest goes unnoticed. Usually we talk about natural position, but often find the position from certain cash shares may be a necessary strategy. It is not just about putting advertising to sell something, but to better position your own content and attract a site facing your target. Sometimes there are more opportunities in sectors that do not fully exploit. For example, AdWords provides to non-profit organizations the opportunity to receive up to $ 10,000 per month on advertising with Google Grants, something that certainly can enable them to reach a more targeted audience. The real secret? As Casey and Patrick told us: “Testing, testing, testing” . There are no magic formulas it out of your head. Or tactics that will make your business a quantum leap if they are not supported by a clear strategy (and based on a constant trial and error that must assume). Note that rather than tactics, in this post -in Workshop- we talked about strategy. Yes there are tools that facilitate the implementation of certain actions, but my advice is to choose the tool once you have clear strategy, not vice versa. We tend to look for tools that allow us to solve specific problems when, in fact, not clear whether these problems we need in our business. Now, although I would not say that “anything goes” sometimes the boundary between right and could not be considered right is more blurred in this field. And, they say, that’s not necessarily bad. There is no web hack, but sometimes you can touch the limit. And that is something you will find only imagination and, above all, knowing full well your business and your competition. What made ​​Airbnb and Casey Armstrong explained in this post (Why Growth Hacking How Airbnb and Uber innovate Marketing and Product) was a hack -rozando as “unethical” – based on a clear strategy: to reach a hearing at that time had no Airbnb from a bot that ran from Craigslist users to your own site. Was it right or ethical what they did? The debate is open, but in any case was a strategic and very smart move.